I fly back to Victoria on Sunday. The past few days the weather has been amazing in Portugal. It is nice to get some natural Vitamin D. I don’t want to go back to the rain! Thankfully the forecast is looking a little better now. I did my best to capture a sunny day here – not the greatest panorama, but I wanted to show how there are no clouds, just sun and blue sky. 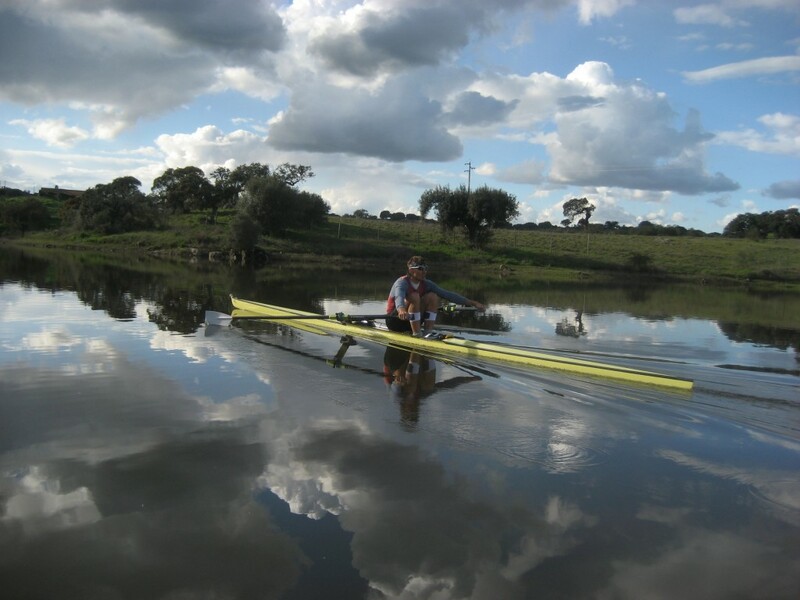 The weather was not always perfect, I thought I was going to sink one day, but most important, the training has been awesome. Looking forward to finishing it off tomorrow with the Head of the Cork 6km race. 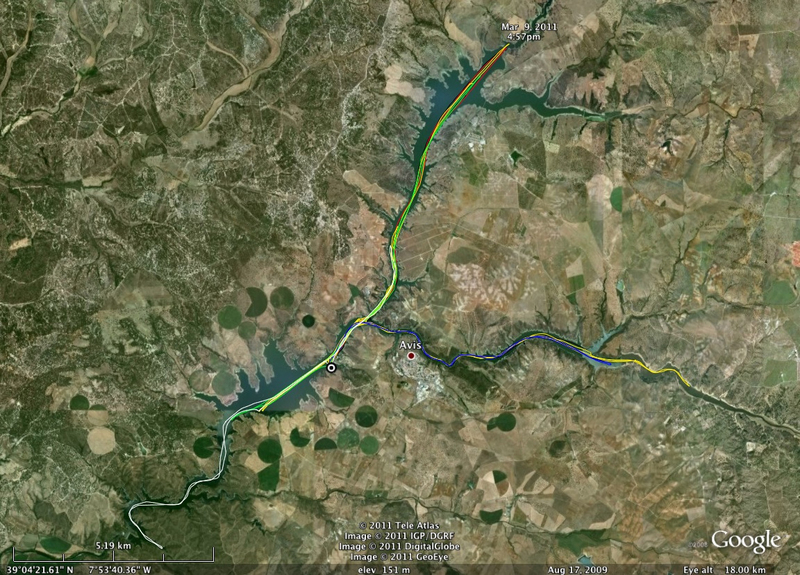 First six days of training in Portugal all on one map – you can also check out the lake on google maps. The lake is amazing – You can go in three directions from the dock, either 12, 13 or 10 km each way. In most places it is around 6 lanes wide. There is a good mix of wind and nice water. No Ogopogo so far, but plenty of Storks.